9am to 2.30pm, 6pm to 10.30pm (Sunday and public holidays). ARE you bored of tossing the same yee sang ingredients each year during Chinese New Year? This year, the Tai Thong Group’s Golden Fortune Yee Sang (top pic) which has assorted fruits and nuts is an interesting combination to usher in the Year of the Monkey. 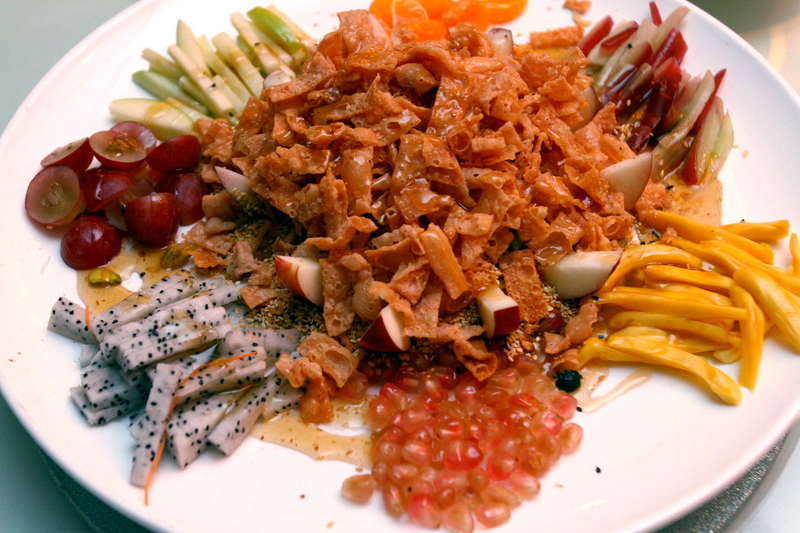 The yee sang has more than 20 ingredients with eight types of fruits and eight types of seeds and nuts. The mixed fruit and nut platter has jackfruit, dragonfruit, pomegranate, green apple and peach as well as pumpkin seeds, peanuts, pistachios and salted almonds. Dried berries such as cranberries and blueberries are included in this healthy yee sang. The special sauce created by the chefs combine these nutritious ingredients to make the dish come together. The yee sang comes in full and half-portion size. The Fortune Seafood Treasure Pot. During a recent review, Tai Thong Group executive chef Lee Wee Hong and Tai Thong assistant group executive dim sum chef Loo Kok Seng presented a line-up of interesting dishes that are available for the Lunar New Year. Among the highlights were the yee sang, treasure pot and dim sum. 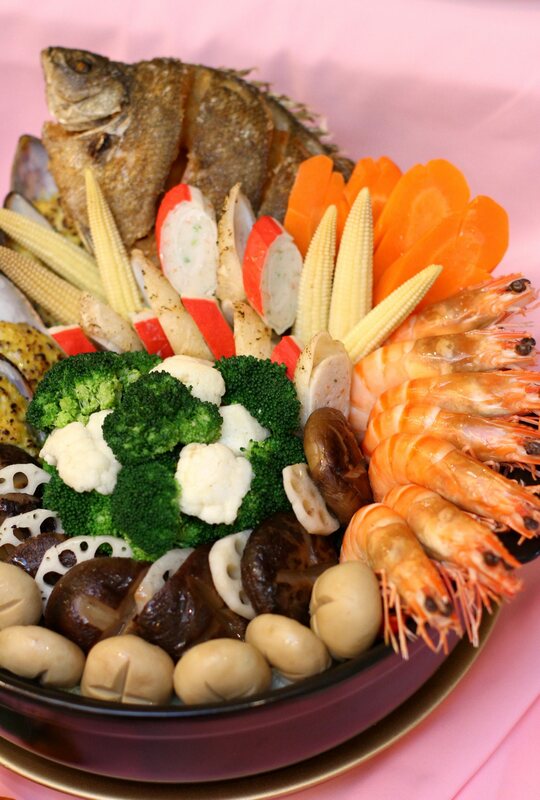 The Fortune Seafood Treasure Pot is not your common steamboat. Instead, the ingredients are cooked separately and arranged in a pot filled with broth. The ingredients consist of baked cheese mussels, deep-fried Jade perch and tiger prawns. A dish is judged not just based on its taste alone but also its presentation. In this pot of goodness, vegetables such as broccoli, mushrooms and carrots add colour to the dish. 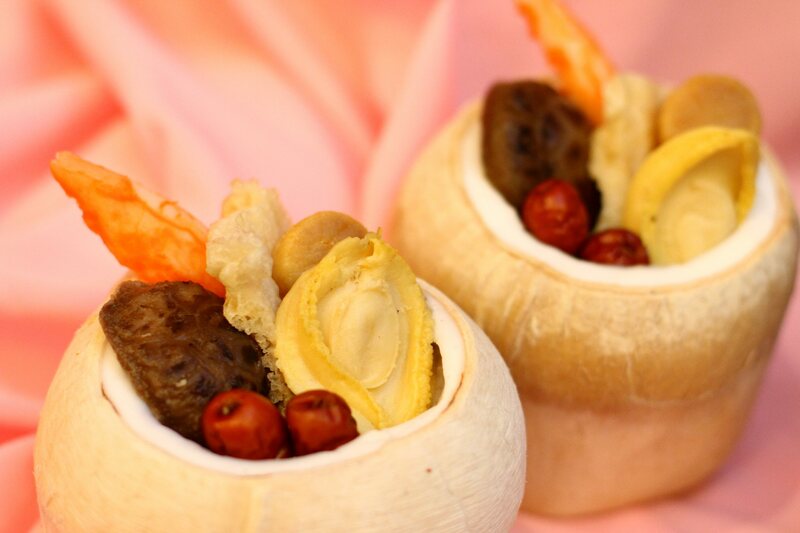 The Double Boiled Dried Premium Seafood Soup served in a coconut. The treasure pot comes in servings for five or 10 people. Under the restaurant’s dim sum range, the simple looking Baked Dried Oyster Tart is a surprising flavour. It has a rich oyster filling and just one tart may not be enough. For something soothing, the Double Boiled Dried Premium Seafood Soup is rich with dried abalone, fish maw and scallop. This refreshing soup is served in a coconut. After a hearty dinner, the Chilled Nian Gao with Osmanthus and Sakura flower is not only tasty but a creative use of nian gao. 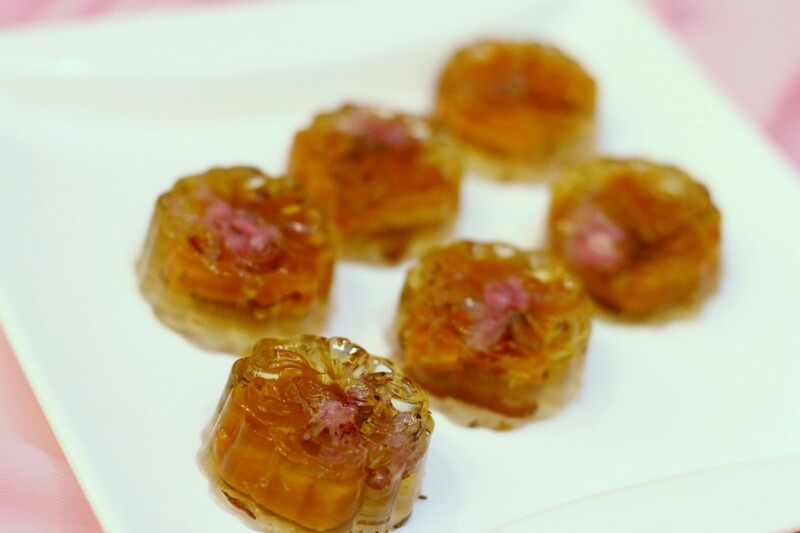 Instead of the warm nian gao famously served at the end of most Chinese multi-course dinners, the nian gao here is transformed and served as chilled jelly. The Chilled Nian Gao with Osmanthus and Sakura flower. The jelly is brightened up with a sakura flower embedded within. This is a unique dessert which is recommended. Tai Thong’s Chinese New Year set menus are priced between RM538++ and RM1,188++ for six diners and RM828++ and RM1,928++ for 10. For the set menu for 10, Tai Thong is giving out a complimentary premium gift set which has dried moss, dried oyster, duck waxed drumstick, dried mushrooms or wine sets. All Tai Thong Chinese New Year promotions are available until Feb 29. The Tai Thong Group has a total of 12 restaurants in Kuala Lumpur, Putrajaya, Selangor and Ipoh.